Joe, an avid fisherman that lives locally, caught a 9 ft Hammerhead Shark last week with Captain Paul and me and wanted more. This time, he brought his brother in law Bobby along to experience the fight. 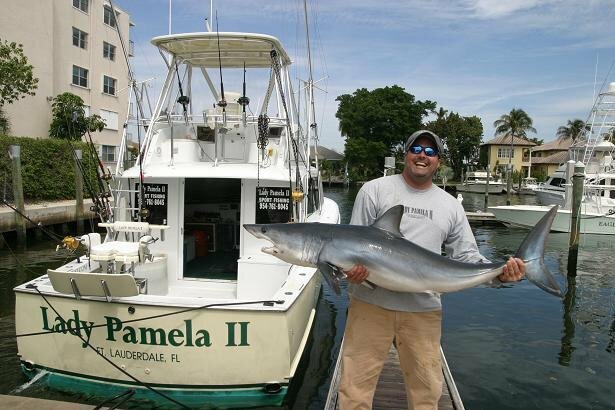 We left Lauderdale Marina rarin’ to go with our trolling spread ready to hit the water. Once we reached the 70 ft mark, we were catching King Mackerel after King Mackerel after King Mackerel. Joe had his heart set on a Sailfish today, but the water looked the same from 100 ft - 400 ft so I decided to set up 5 miles north of Port Everglades. Our spread consisted of two kites, one big bait on the left long and two live goggle eyes on the right short and right long. Joe is familiar with the waiting game and the bite was not instant. We waited patiently and it paid off. I noticed the rod move slightly and then even more, “Tip rod! Tip rod!” As soon as the rod doubled over, I punched the boat ahead to set the hook. 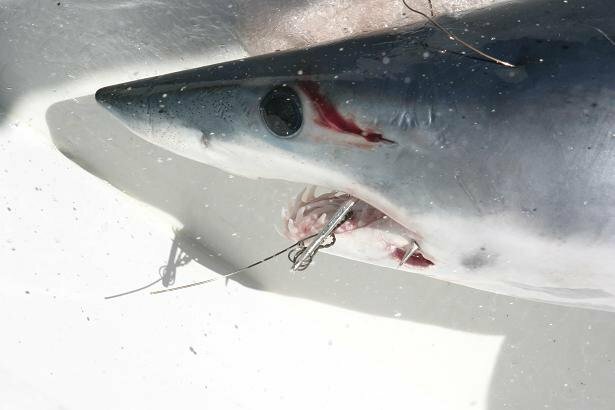 Joe got Bobby in the chair to take down this Mako Shark and he did. 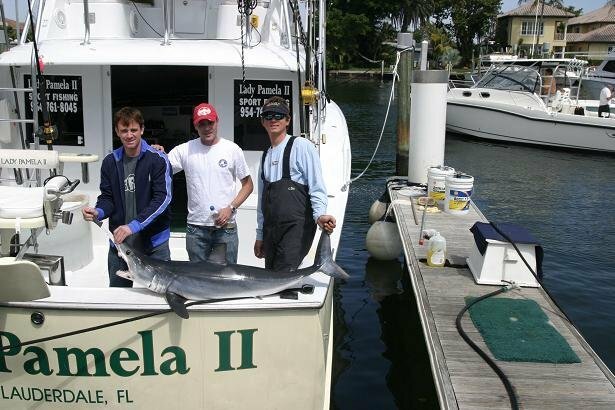 Soon I will be writing a report about a giant Swordfish with Joe, he is one lucky Texan. 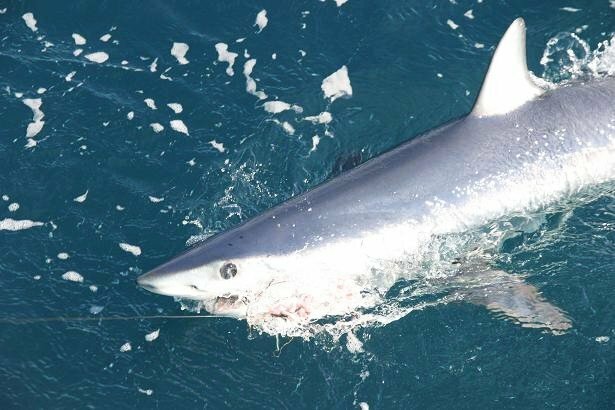 The Shortfin Mako makes for excellent table fare, the Longfin Mako has poor food quality. 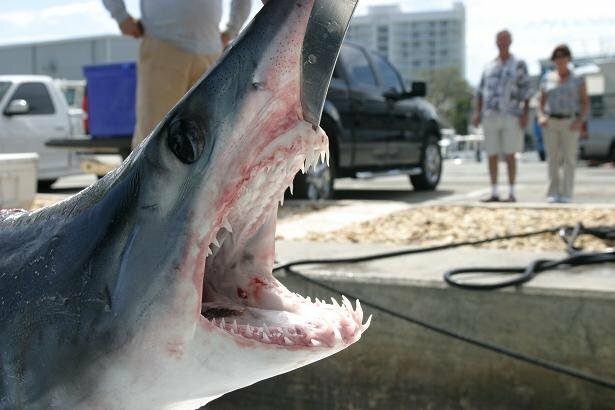 The Shortfin Mako Shark is the fastest shark and one of the fastest fish.